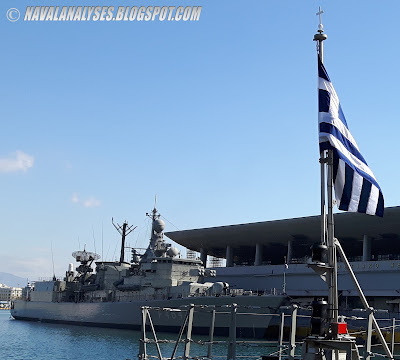 Today, March 26th of 2015, I had the opportunity to visit some Hellenic Navy ships and boats that were moored at Piraeus Port for the celebrations of the Greek Independence Day on March 25, the day that commemorates the start of the War of Greek Independence in 1821. Such day of the year is a great opportunity for citizens of Athens and Piraeus to visit warships of Hellenic Navy that visit Piraeus for three days (March 25-27). 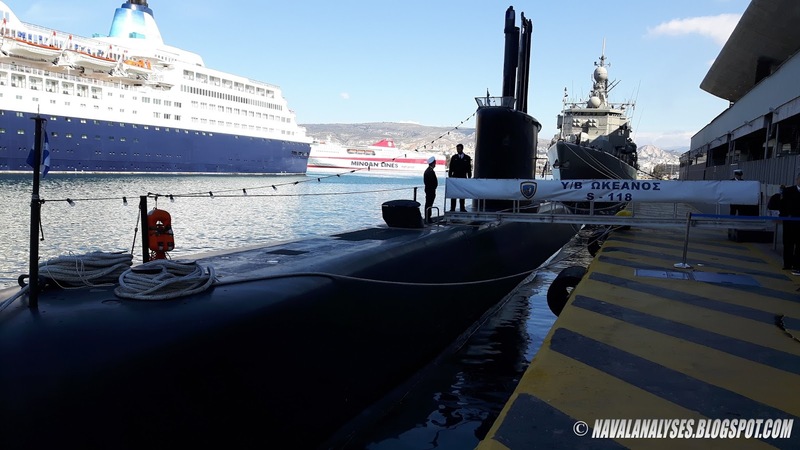 Once again I was there, not so much for the other ships but especially for the submarine Okeanos S118 (English: Ocean), a unique boat in the Greek fleet. 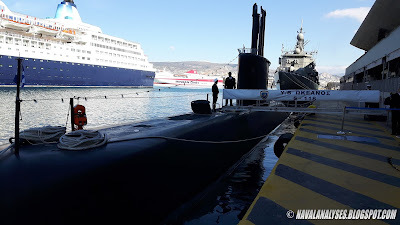 This time I skipped visiting the fast attack craft that was there because I have visited already two boats of the class (photos of Daniolos and Roussen); I should mention that usually Hellenic Navy brings one frigate, one submarine and one fast attack missile craft for the celebrations at Piraeus. The fast attack craft was Ritsos P71, the newest boat in the Roussen class (5th in the series) and the newest vessel in the Greek fleet. Some photos of the boat I will include them in the article I have written about the Roussen class. 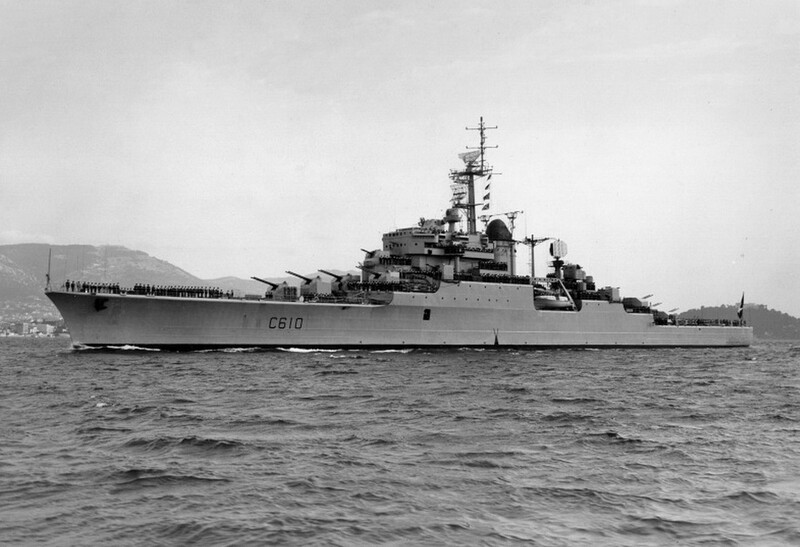 The De Grasse (C610) and Colbert (C611) were two anti-aircraft cruisers of the French Navy (Marine Nationale) that served the period 1956-1991. 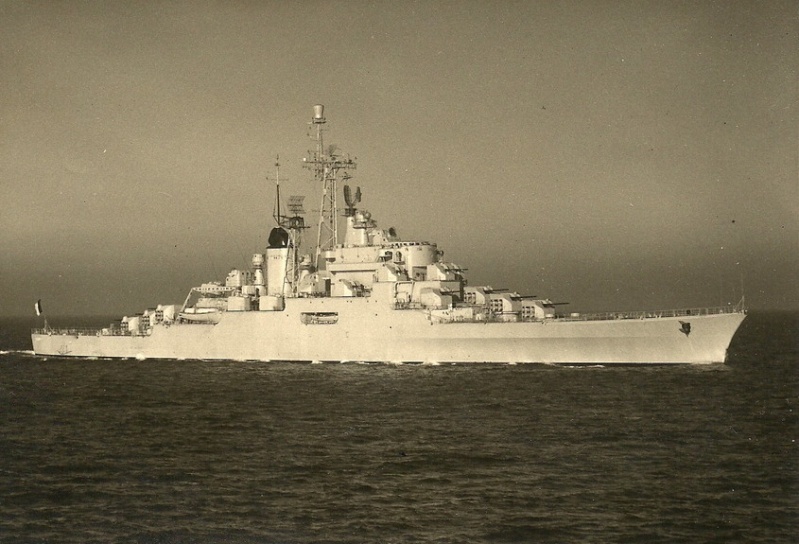 The two warships were the ultimate anti-aircraft gun cruisers after the WWII era with a number of guns of medium caliber dedicated for this role more than any other warship before in the cruiser category with the exception of the first four ships of the Atlanta-class cruisers that had the heaviest anti-aircraft armament of any cruiser of World War II (16x5in guns). Only battleships were some of the few ships that had more 5 or 6in guns than the two French cruisers. Elegant ships with a powerful armament they were promising that could overcome any future aerial threat. However, the introduction in service of the missiles, which can engage targets in much longer distances and much more precisely than guns, made them quickly obsolete for this role.